The full-time faculty is comprised of lecturers-researchers, 90% of whom hold a PhD. 44% are international professors from over 30 different countries. Due to the dynamics of the merger process, globalisation and the growth Kedge Business School is experiencing, it now boasts a substantial and incredibly diverse faculty, a strong asset in the face of new challenges in the fields of research and education. Developments in new teaching methods are leading to an innovation dynamic, allowing us to integrate digital developments while maintaining closeness and individualised learning pathways. 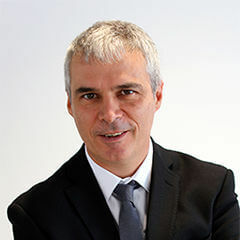 In the field of research, the contributions of Kedge Business School's professors must ensure new knowledge production by taking changes in both academia and business practice into account. The emergence of unique and distinguishing teaching models is taking us further than simply passing on knowledge and onto a quest for meaning, integrating a learning by doing approach. As regards research, the bridging of the boundaries between theory and practice requires research results to be disseminated beyond the academic community. A Business School's faculty, whose role is to develop talent, must incorporate the values of social responsibility into its research and teaching to the best of its ability. Through education and research, the faculty also helps promote openness to emerging economies. Kedge Business School's faculty is developing responses to these challenges through the quality and diversity of its teaching activities and its driving role in educational innovations. Its contributions also stem from high-quality academic research and the ability to promote and disseminate research-derived intellectual output to companies and through the education system.